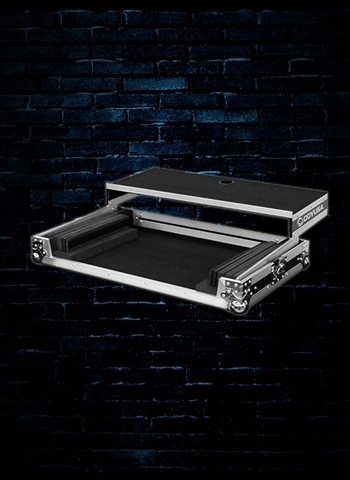 Odyssey presents Flight Ready series universal DJ Controller cases. Guarantee secure transport for the diverse variety of today's popular DJ controllers where upgrading from one controller to the next can be as common to the active DJ as the general public is now with smart phones. Each features our patented Glide Style laptop platform design and stylish front and rear removable V-Cut panels. The FRGSDJCL controller case holds large size gear such as the Pioneer DDJ-SX2, DDJ-RX, XDJ-R1, Numark Mixdeck Quad, and much more!